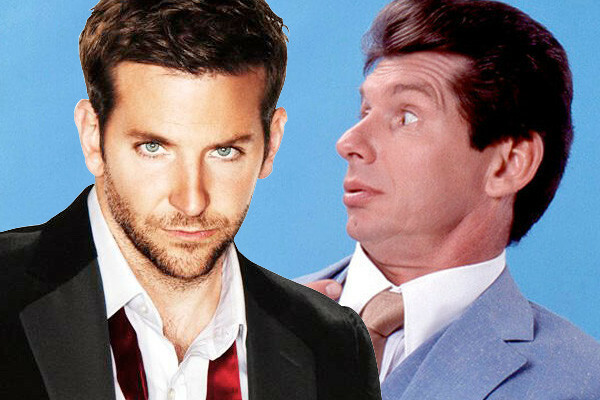 Bradley Cooper has been offered the chance to play Vince McMahon in a biopic of the WWE chairman's life, according to PWInsider. The movie, said to be tentatively titled "Pandemonium", is reportedly being produced by TriStar, in conjunction with the company's own film wing, WWE Studios. And reports claim that executives are keen to land one of Hollywood's leading men in the role of Vince in order to help attract new interest in the project, which has yet to move beyond the development stage. Quote: Whether Cooper is receptive to the idea remains to be seen, but... the offer was made. The 42-year-old, perhaps best known for his role in The Hangover franchise, earned an Academy Award nomination four years ago for his turn in Silver Linings Playbook opposite Jennifer Lawrence. Should he sign up to Pandemonium, he will join the likes of screenwriter Craig A. Williams, and directors Glenn Ficarra and John Requa. Adam Goldwin of Aperture Entertainment is also said to be attached as a producer. I know Cooper is a fine actor but I just don't see how he will fit in McMahon's role!